Ryan Walsh is the CEO of Valqari, a drone delivery solution based in Chicago, Illinois. Ryan and his team have developed a drone delivery solution to solve the last mile or last meter problem. I have to admit, before speaking with Ryan today, I had been very skeptical of drone delivery as a whole. I could predict it’s success in rural environments, but the urban environment was where I predicted it would be difficult to impossible. Now after speaking with Ryan, I have a different outlook on drone delivery as a whole, and think that we’re going to be there sooner than I or many expected! The key to Valqari’s success isn’t flying drones beyond visual line of sight, or navigating between distribution centre to the general delivery area, but rather the last few inches of delivery. Ryan and his team have developed a mailbox receiver system to “handshake” with the drone, and ensure a safe and successful delivery. Since his team isn’t spending time on the other aspects of flight, they are mastering the close proximity last few inches of drone delivery, and their solution works with both DJI and PX4 powered drones. In addition to those systems, Valqari has also developed their own drones. So what does this mean for drone delivery? Well, I encourage you to listen to the whole episode, but just quickly he predicts that drone delivery will be a reality in 2020 or 2021. I bet that is sooner than you thought with how things have been going! If after listening you want to learn more, be sure to connect with Ryan and his team at AUVSI Xponential 2019 in Chicago later this year. 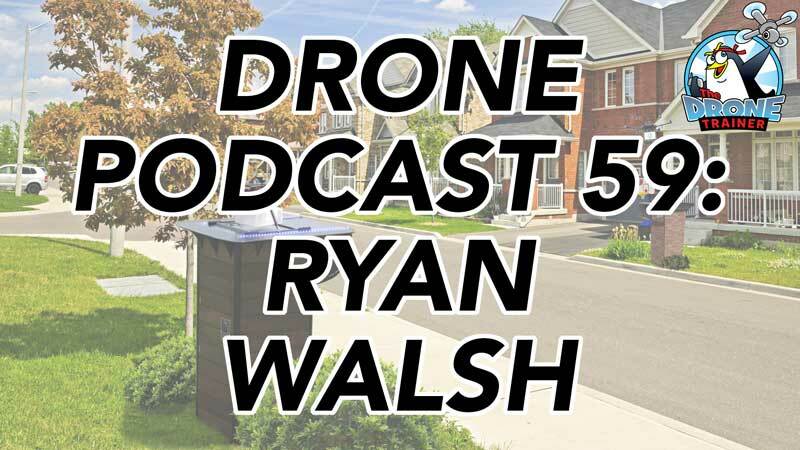 I hope you enjoyed this week’s drone podcast with Ryan Walsh of Valqari! Once you’ve had a listen, feel free to leave a comment below so that Ryan and I can hear what you think about drone delivery! Check out Ryan’s work and follow him on social media! Getting the product to the consumer is only half the issue. From a business standpoint the infrastructure is the bigger risk. What about the aircraft itself? It’s easy to see a fast growing black market for high end drone parts from these delivery drones. the aircraft stolen and striped for parts (think drone chop shop). Delivered a $50 package and lost a $1000 (or more) drone. How do you protect the aircraft? Tracking devices would be great for the entire bird but easily overcome. Imagine finding drone corpses around the landing areas with the arms and cameras cut off or gutted carcass with tracking devices left behind. The losses could be staggering to the business. Sorry for the negative comment, I like the idea and think eventually it may be a reality once the human factors are taken out of the equation. 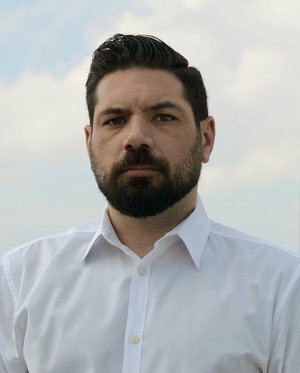 I’ve spent the last 20 years in the security industry and have trained to think on the outside of the door and how do I get in when developing solutions. Drop a $1000 chunk of technology into some areas and it will disappear in an instant if it’s anywhere near where someone can grab it, thieves are ingenious. Companies aren’t loosing any money in delivery costs, these are just passed along as a product/service cost, just like labor, material/product, and taxes, all are pass through costs taken into account to determine the final cost. I could see a benefit or new offering of providing a point-to-point delivery and extreme expeditated service. A premium 1-hour-to-the-door delivery could be feasible with drone delivery model. Hey Don, thanks for your comment. And yes, I agree, there is a LOT of opportunity for physical interference with the drone. As Ryan said in the podcast, they have worked on some mitigation tools to try and prevent that from happening, but as you said, it can’t totally be avoided. And no worry about the “negative” comment! We all need to be realistic with our expectations, and wait for companies to prove us wrong! I’m imagining making the receivers portable, so a medical care team could summon supplies as they need them, based on their current location. They are there waiting for it (with other public safety teams as well too), so risk of interference in this scenario is minimal. What do you think of that? When I listened to the podcast Ryan mentioned mitigation efforts for loss of the item being delivered but I didn’t hear anything about the aircraft itself. I’m sure thought that it’s a major concern. I concept I saw last year for drone deliver had a landing/charging station on top of light poles with a delivery shoot below to a collection box for the customer with an electronic key. Obviously this has a greater infrastructure cost but appears safer for the aircraft. How they will manage airspace with any such delivery system is going to be huge challenge. Not only with manned aircraft but also sUAS traffic so the drones won’t be running into each other. Getting a viable UTM system operational will be a key part. Let’s not forget that the FAA is not only pushing UTM but also anti-drone strategies and technologies. Once these defensive technologies are perfected they will quickly proliferate to hands beyond their original intent. Imagine the day the iPhone 16s with 1TB of storage ships and the swarm of drones leaving the Super-Amazon warehouse, it will be like opening day of duck season with people trying to shoot the drones down to get the new phones. Hey Don, yes I think that Ryan and his team would be best to answer the question about the drone hardware staying safe. Light poles are something that I’ve seen as well, along with roof receptacles, which could be used in a similar way with the public access boxes. I think the entire airspace application is beyond what Ryan and his team are looking at. Thats a huge problem, as where will they fly? Is there going to be a designated altitude for drone activity, regardless of where the traffic is? Outside of airports though of course. But what is that altitude going to be, and how does it work in cities where the buildings are taller than that designated altitude? Just go around? And thanks for making me laugh at the opening day of duck season comment! Hey Phil, thanks for your comment. Yes theft is a definite threat to advancement of the technology. Beyond that, you bring up a good point about weather restrictions. Ryan mentioned that Chicago or even the USA won’t be his first target area. Potentially somewhere much warmer would be the ideal market?